Bar is a popular little town for daytrips, intrepid travellers and some cruise itineraries. There’s also a Bar-Bari (Italy) ferry and Bar is the final stop for the train from Belgrade (Serbia), which, although basic in service, is ranked as one of the top 10 train journeys in Europe because of the stunning scenery it offers. Because Bar’s attractions are relatively spread out, you’ll need a map to help you get around and make the most of your time there. 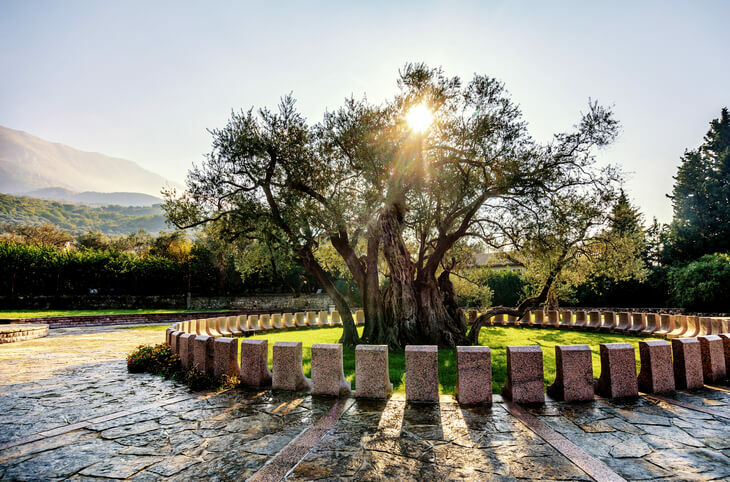 Stara Maslina, possibly the oldest olive tree in the world, in Bar, Montenegro. Getting around a new place when you’re travelling can be daunting. Remember the days of walking around with a paper map scrunched up in your hand because you could never figure out how to refold it properly? Thankfully, the invention of smart phones and app like Google Maps has made finding your way around a lot easier. The only problem is you need data to run them. And that can get spendy if you’re on roaming. European Union residents have free roaming within the EU. Unfortunately, the EU’s border finishes where Croatia ends and Montenegro starts, so even if you’re coming from an EU country, you won’t have data in Montenegro without roaming fees. But there is a way to get a free, interactive Bar, Montenegro map that you can use to help you navigate the town. Download the Google Maps app onto your device, whether that’s your smartphone or your tablet, whichever you’ll be carrying around with you. This trick is especially useful for Wi-fi only devices, like tablets. 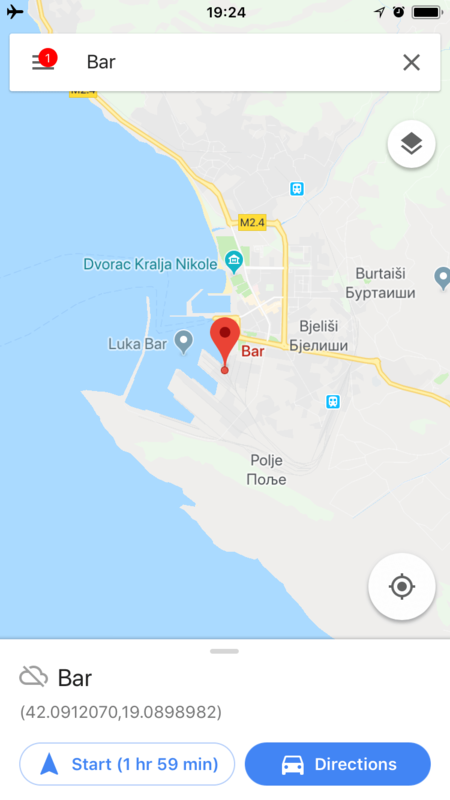 Open Google Maps and type ‘Bar Montenegro’ into the search bar. You’ll be shown a map of the town and surrounding areas. Make sure you’ve got the places you want to visit on the screen. Go back to the search bar and type ‘OK maps’ (without the quotation marks) and hit search again. You’ll be asked if you want to download this map. Hit ‘Download’. The download takes around 10 seconds, depending on the size of the map and the speed of your internet connection. Now you can explore and find your way around Bar, even when you’re essentially offline. This map is especially useful if you’ve got a rental car and you’re driving yourself or you’re trying to find your accommodation in Bar. 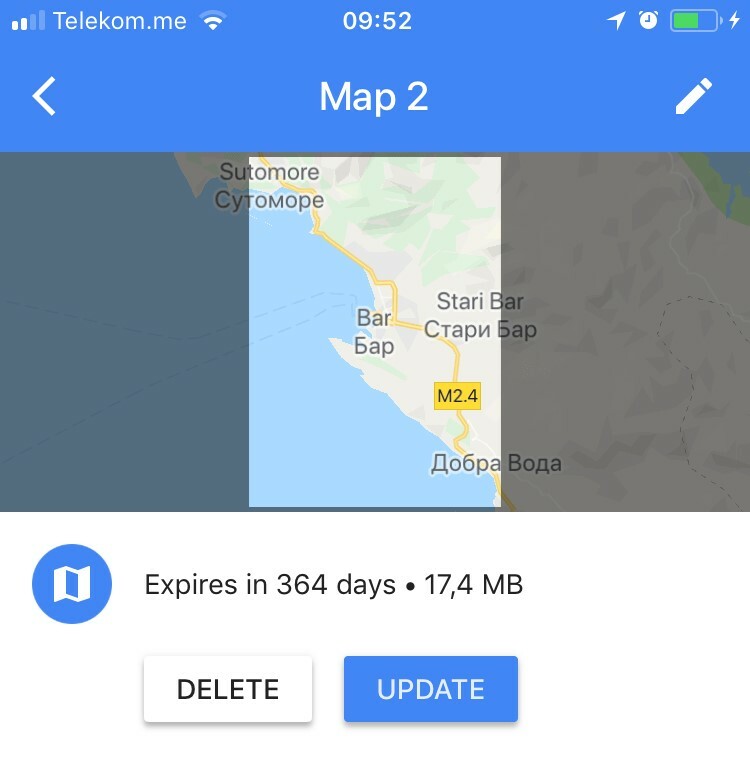 With apps and pictures vying for your precious memory space, you’ll want to delete the Bar Montenegro map when you don’t need it anymore. In Google Maps hit the menu icon (three horizontal lines) left of the search bar. 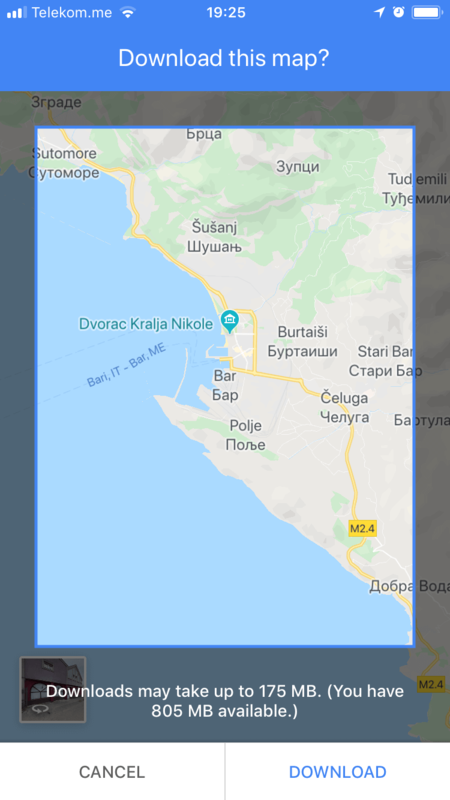 Open ‘Offline maps’ and you’ll see the Bar Montenegro map you downloaded. Touch it and it will open. Then you’ll be given the option to update it or delete it. 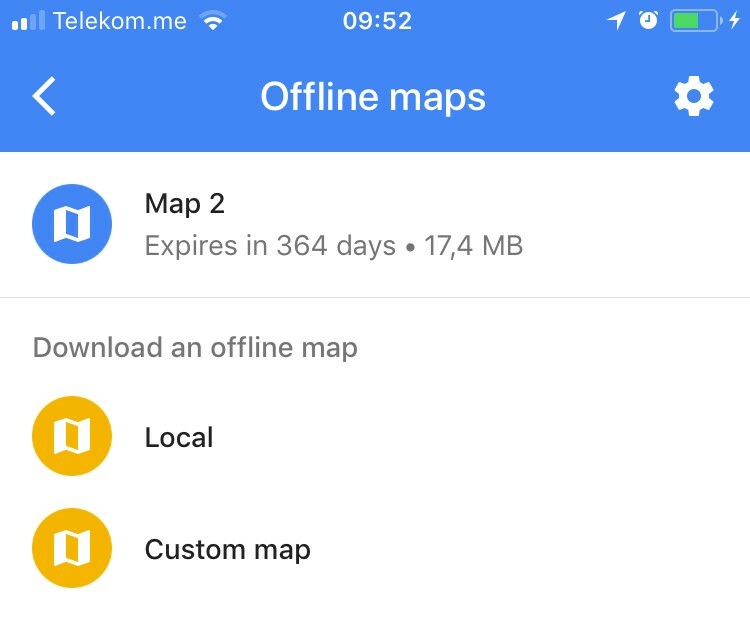 Touch delete and it’ll be deleted from your offline maps. Using this trick you can easily download maps for each destination you’re planning to visit in Montenegro. Download and delete them as you go and you’ll still have plenty of memory left for selfies!